What is this 'Heartbleed' everyone is suddenly talking about? I won't blame you if you're as clueless as I was when I first heard about it. The term suddenly exploded as if out of nowhere, and had me thinking; meh, it's probably another messaging app that someone has discovered a bug with. But no. Heartbleed is a major security bug that was discovered Codenomicon, a software security firm, and a member of Google's security team. It is a serious security threat that has the potential to expose users' private information, including passwords, financial details and instant messages, among other things. So if security is one of your concerns, you need to read this! 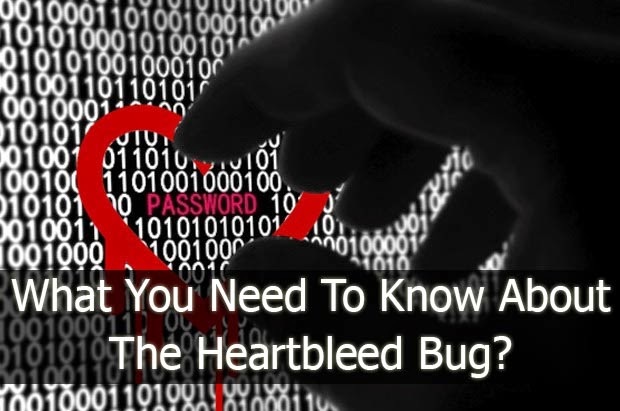 The Heartbleed bug is a vulnerability in the OpenSSL security used by millions of websites on the web These include websites for e-commerce, online shopping stores, banks, email providers, and so on - places where a security breach can hurt you most. Here's a nice little comic that's been going around the internet demonstrating the workings of the bug. The bug, as demonstrated is dangerous yet very simple, which explains why it had never been identified before. It's a loophole in code, and not an attack or a virus that you can defend against. Obviously! The bug has affected all websites and services running on OpenSSL. These include Facebook, Pinterest, Instagram, Tumblr, Google, Yahoo, Amazon, GoDaddy, GitHub, and Dropbox to name just a few. Many of these websites have already addressed the vulnerability with a patch. But there isn't much you can do on your part to improve your personal security. Changing passwords won't help you much at this point, but you can go ahead and do it anyway. It is advisable to lay off any online purchases you want to make until the dust settles down. Furthermore, you can use the Heartbleed Bug checker to see whether the website you are visiting has addressed their vulnerability or not. You can also use LastPass’s SSL date checker to see if the server of the website has updated its SSL certificate recently. Additionally, if you run your own website, the best thing you can do is update your OpenSSL immediately! Many good web hosting companies will do this for you.